In 1912, after having played at various pitches across the city, Real Madrid opened their first proper football stadium. The stadium, located on Calle de O’Donnell near Retiro Parque, was dubbed Campo de O’Donnell and got soon further expanded. 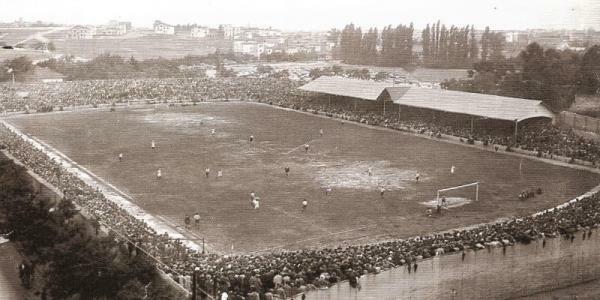 At the end of the 1922-23 season, the owner of the site however requested for Madrid to move away so that residential buildings could get built. The club accepted and moved to a velodrome in Ciudad Lineal on the eastern edge of the city. The stadium was difficult to reach though, and attendances soon plummeted. The opening of Atlético’s new Stadium Metropolitano made Real therefore decided to build an own new stadium as well. By the end of 1923, Real Madrid had found a site in the Chamartín de las Rosas municipality near a now-gone racecourse just north of the city of Madrid. The club built a covered stand that could seat 4,000 spectators, and terraces that could hold a further 11,000. The stadium was named Campo del Real Madrid Fútbol Club, but got soon referred to as Chamartín. 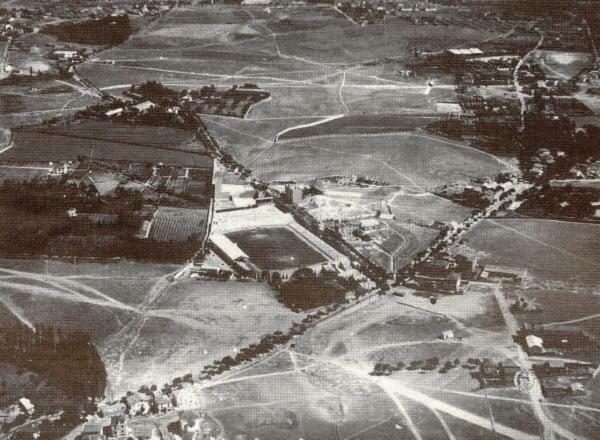 Campo de Chamartín officially opened on the 17th of May 1924 with a friendly versus Newcastle United (3-2). Few changes were made in the following years. In the late 1930s, Campo de Chamartín sustained significant damages in the Spanish Civil War, but it reopened in 1939 with a larger capacity of 25,000. By then, however, club-president Santiago Bernabéu was already making plans for its replacement. These plans became concrete in 1943, and soon after the club started buying the adjoining lands of Chamartín. Construction of the new stadium then started alongside Campo de Chamartín, but the club was still forced to move to Stadium Metropolitano for a season as the Chamartín had to get demolished before the new stadium could get completed. Real Madrid played their last match at Campo de Chamartín on the 16th of May 1946 versus Málaga. They returned a year-and-a-half later for the opening of Estadio Santiago Bernabéu.